Ideally, you go to work each day, work to the best of your abilities, and thus earn your paycheck. In a perfect world, you walk in at the beginning of the day unscathed and walk out at the end of the day unscathed. But what if that’s not the case? What if you’re injured on the job? Well, depending on the situation, your whole life could change. You could find yourself in pain, unable to work, and unable to pay for medical bills and other living expenses. If you’ve been hurt on the job, you can file for workers’ compensation with a Homestead workers’ compensation attorney – no matter who is at fault. Workers’ compensation is a no-fault system, meaning there’s no need for employees to prove anyone’s accountability for their injuries in order to receive compensation. If you’ve been injured at work, the first thing you should do (after seeking medical help, of course), is report your injury or illness to your employer. You should report the incident as soon as possible, but no later than 30 days from the accident date. If you have seen a doctor, you should report the work-related incident no later than 30 days from the date the doctor says you are suffering from the injury. If you neglect to report your injury or illness within 30 days, it may result in your workers’ compensation claim being denied. If your employer does not report your injury to their insurance provider, you should report it yourself. 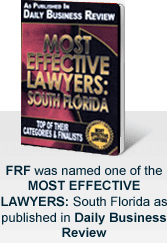 Generally, all employers in Florida are obligated to carry workers’ compensation insurance. According to the Florida Department of Financial Services, your employer should have the workers' compensation insurance information clearly posted somewhere in the workplace. If your employer does not have the insurance information posted, you may contact the Employee Assistance and Ombudsman Office for assistance. Sustaining an injury while on the job, and subsequently not being able to return to work because of that injury or illness, can be stressful. Most employees are covered for workers’ compensation and will receive a majority of their pay for time away from work, as well as obtain payment for their medical bills and other expenses. Injuries can include illnesses resulting from exposure to chemicals/pollution, to repetitive trauma of the back, head injuries, eye problems, carpal tunnel, and psychiatric issues. Workers’ compensation also applies to most work-related injuries sustained while traveling for business or running business-related errands. In some cases, employees may also be able to sue a third party. For example, a distributor/supplier of a machine; driver and owner of a car at fault for a motor vehicle accident; and the premises owner/management for negligent maintenance and security. In any case, a knowledgeable Homestead workers’ compensation attorney is needed to help file a successful worker’s compensation along with any other claims that may arise from the work-related accident. At Friedman, Rodman & Frank, P.A., our attorneys have advocated for injured workers in Homestead, and other areas all over Florida. We have an intricate understanding of the Florida worker's compensation system, including the specific time limitations involved. To discuss your options with an experienced Homestead workers’ compensation attorney, please contact our offices online or call 305-247-7887 or toll free at 877-448-8585 to schedule a free consultation with a highly qualified workers’ compensation lawyer.